I’ll start with the gnarliest of the four, chic peas and cippolini onions. adj. chic: elegantly and stylishly fashionable. noun chic: stylishness and elegance, typically of a specified kind: French chic | biker chic. ORIGIN mid 19th century: from French, probably from German Schick ‘skill’. noun chickpea [AZ: also chick pea]: 1 a round yellowish seed, used widely as food [AZ: among other things, it is the basis for the dipspread hummus]. Also called garbanzo. 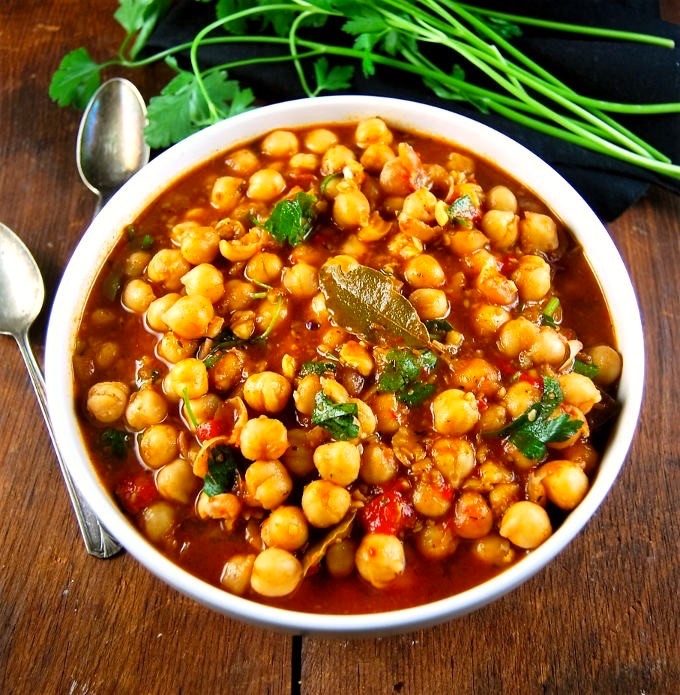 [added by AZ: 1x such a seed, cooked for food] 2 the leguminous Old World plant which bears chickpeas. Cicer arietinum, family Leguminosae. So where did the chic spelling come from? Presumably, from the spelling of the ‘stylish’ items. Then the question is why the person who wrote the menu item chose that spelling. One possibility is that they are among the small number of people who think, erroneously, that the spelling chic is associated with the pronunciation /čɪk/ — and that there are also the ‘stylish’ items (which they’ve learned from hearing people say them) pronounced /šik/ (and probably spelled sheek). That would make this case somewhat similar to the case of clique, for which both /klɪk/ (a pronunciation based on the spelling) and /klik/ (a pronunciation based on hearing other people’s productions) are current. And closely similar to the case of the noun epitome, which has an erroneous pronunciation /ˈɛpɪtˌom/ (from reading) and a correct pronunciation /ɪpˈɪtǝmi/ (from hearing). But the writer of the menu could have been entirely aware of the chick /čɪk/ vs. chic /šik/ contrast but playfully chose the second spelling to represent the first pronunciation, presumably for the visual associations of the spelling with stylishness. That’s a decision that others have made: chic deliberately chosen to represent /čɪk/. Two examples of intentional chic /čɪk/, one from Canada, one from Australia. That is, cich(e) (‘chickpea’ < Fr. < Lat. 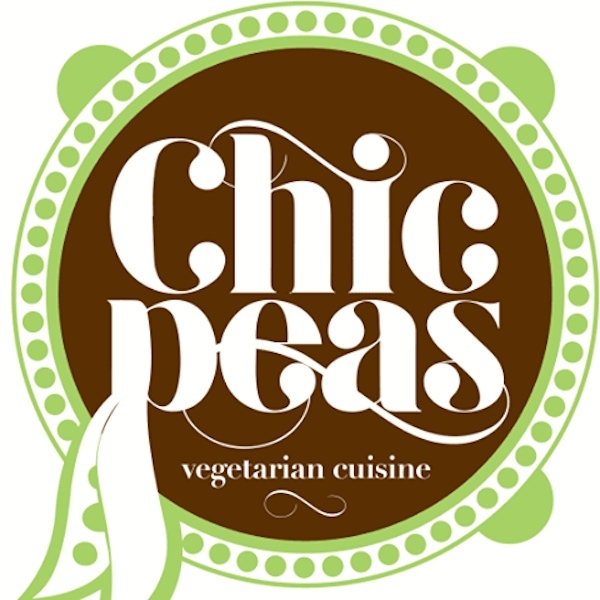 cicer ‘chickpea’) + pease (‘pea’ < Lat. pisum < Gk. pison; ModE pea is back-formed from pease, (mis)understood as a plural). Earlier English cich(e) pease was then a species-genus compound; see the section on these in my 2/23/17 posting “Morning: spanakopita”, with examples like spanakopita pie, collie dog, and matzo bread. Species-genus compounds have an air of redundancy or pleonasm about them, because the reference to a species in the first element suggests a reference to the genus including that species in the second: spanakopitas are pies, collies are dogs, matzos are bread. 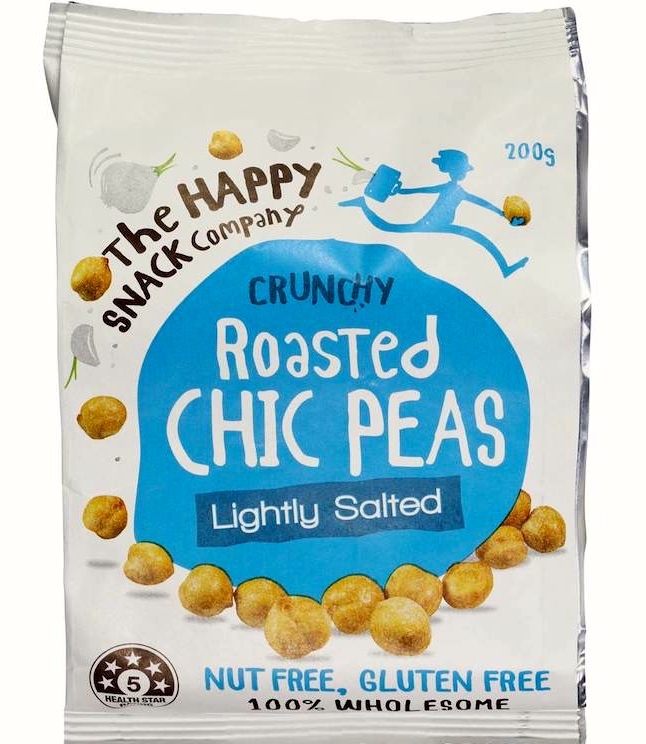 In ModE, chickpea is a largely opaque N + N compound: it’s vaguely subsective (a chickpea is in the pea/bean family — the legumes, now Fabaceae — though most people would balk at saying that a chickpea is a pea, or for that matter a bean), and the first element is no longer identifiable as a meaningful unit (though it sounds like chick ‘young chicken’). cippolini onions. Like chickpeas, the plural of a N + N compound: the plural of cippolini onion. Two questions about the first element here: its spelling (the easy bit), and its form (another tangled mess). CIPPOLINI for CIPOLLINI has the geminate too early. (with accents on the first and third syllables), and a geminate PP would predict that. So the typo doesn’t get corrected, because it “looks right”. We’ve been seeing more and more of these little guys recently and we couldn’t be happier. 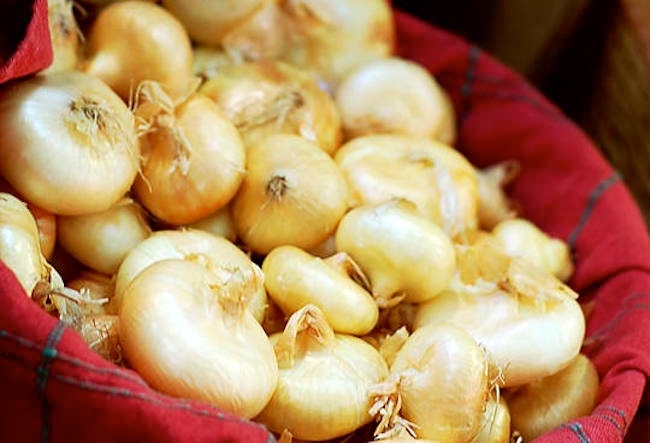 Cipollini onions (pronounced chip-oh-lee-knee) were once a rare treat only to be found at fancy restaurants and the occasional gourmet market. We’re glad they’re finally getting their due attention … Now what exactly are they? Their name literally means “little onion” in Italian, and indeed they are! Cipollinis are about the size of a golf ball with a slightly flattened appearance. They’re thin-skinned and have translucent white flesh with more residual sugar than your average yellow or white onion. Which makes them incredible for roasting or caramelizing. Roasted whole in the oven or cooked in a little butter on the stove top, cipollinis become soft and practically melt in your mouth. Those residual sugars caramelize and concentrate, leaving behind none of the astringent raw onion flavor. At this point, the word cipollini was borrowed into English to refer to a particular kind of small onion — borrowed as an English C[ount] noun with sg. cippolini, regular pl. cippolinis. Its previous history as an Italian plural is now beside the point. In English, it can serve as the first element in the species-genus compound (see above) cipollini onion, with pl. cipollini onions (as in the Kitchn quote). Or it can stand on its own as a noun referring to a cippolini onion: a cippolini, several cippolinis, bare pl. cippolinis (as in the Kitchn quote). Now to some less complicated stuff. Most prunes are freestone cultivars (the pit is easy to remove), whereas most other plums grown for fresh consumption are clingstone (the pit is more difficult to remove). 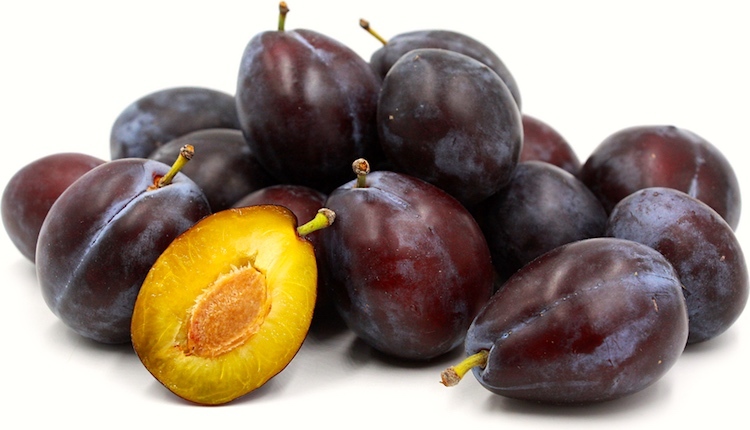 In 2001, plum growers in the United States were authorised by the government to call prunes “dried plums”. 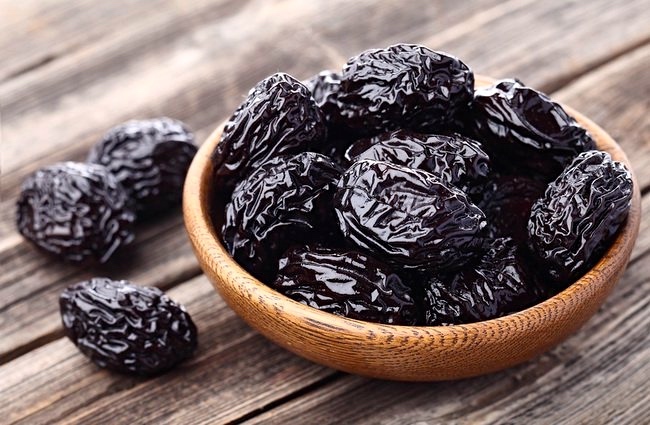 Due to the popular U.S. perception of prunes being used only for relief of constipation, and being the subject of related joking, many distributors stopped using the word “prune” on packaging labels in favour of “dried plums”. red rice. At first glance, this expression is just a nominal composite, of modifying Adj and head N, denoting rice that is red in color. In fact, the expression is semantically much more specialized than that, and is also potentially ambiguous between two very different readings, one referring to a type of grain, one referring to a type of cooked rice. 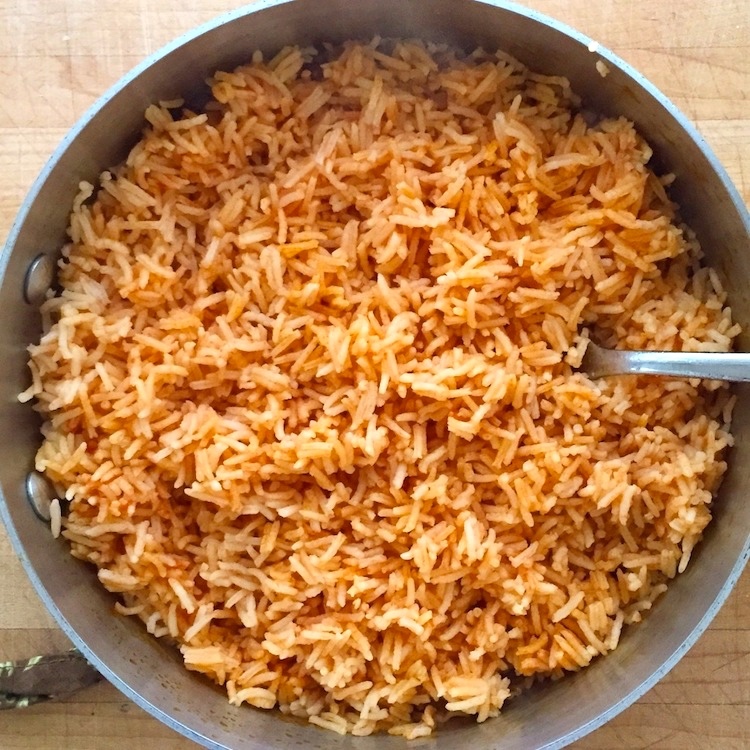 Red rice is a variety of rice that is colored red by its anthocyanin content. It is usually eaten unhulled or partially hulled, and has a red husk, rather than the more common brown. 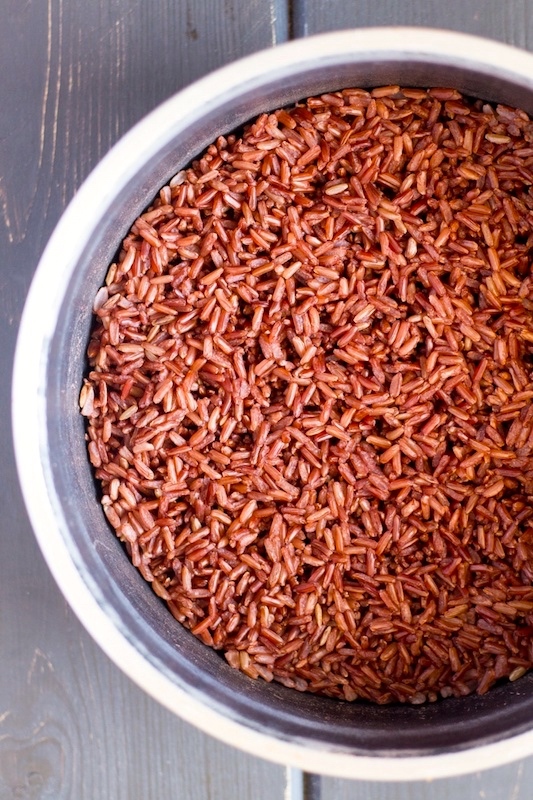 Red rice has a nutty flavor. Compared to polished rice, it has the highest nutritional value of rices eaten with the germ intact. Ingredients: 2 tablespoons olive oil or clarified butter; 1 clove garlic, peeled; 1 cup white rice, preferably Mahatma Basmati; 1 teaspoon salt; 1 Tablespoon tomato paste; 1 cup reduced-sodium beef or chicken stock; 1 cup water. This entry was posted on October 13, 2018 at 4:46 pm and is filed under Ambiguity, Compounds, Conversion, Errors, Euphemism, Italian, Language and food, Language and plants, Lexical semantics, Morphology, Pronunciation, Spelling, Subsectivity, Typos, Verbing. You can follow any responses to this entry through the RSS 2.0 feed. You can leave a response, or trackback from your own site.